Love often comes full circle many times throughout a relationship. For Amy and Greg, their circle made a special rotation. 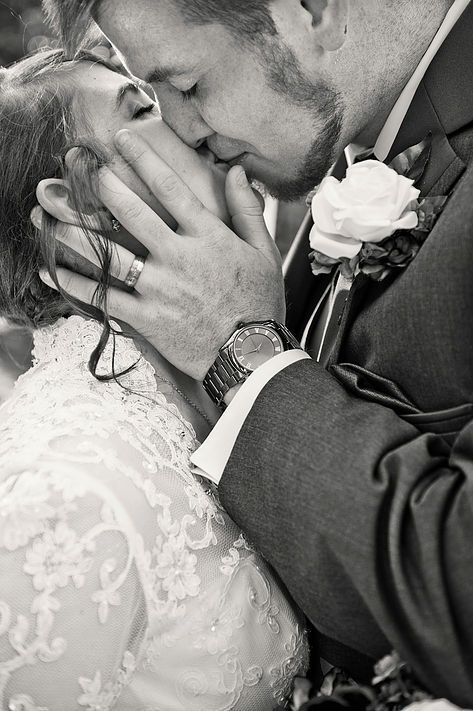 Their story begins at the Mount Morris Camp and Conference Center where they attended church camp during high school and met for the first time. Fast forward a few years to that same church camp and you'll find Greg on one knee in front of the entire camp asking Amy to be his wife. 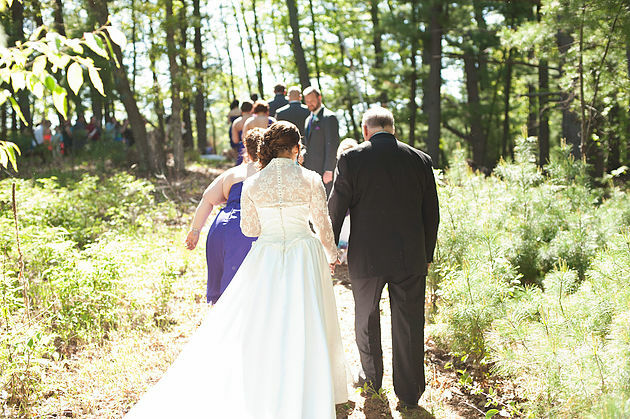 Looking ahead once more, Amy and Greg exchanged vows at the very camp they met at, among the trees and dappled sunlight with a creek babbling excitedly behind them. 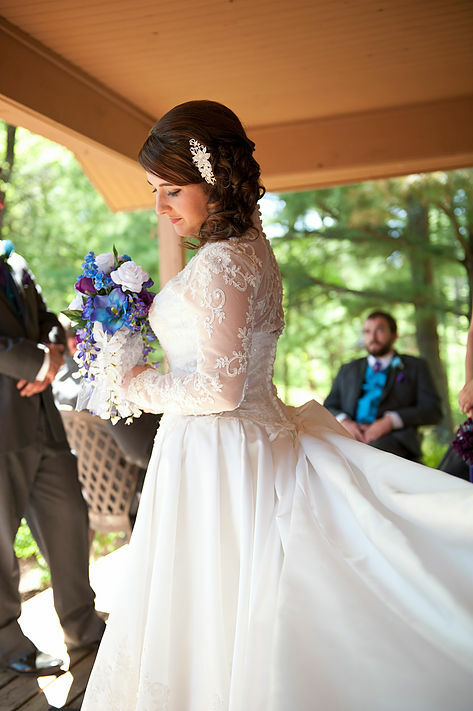 Their outdoor Wisconsin wedding was simply a dream. Amy and Greg surrounded themselves with the people closest to them, and the entire forest could feel the love of everyone enveloping them. 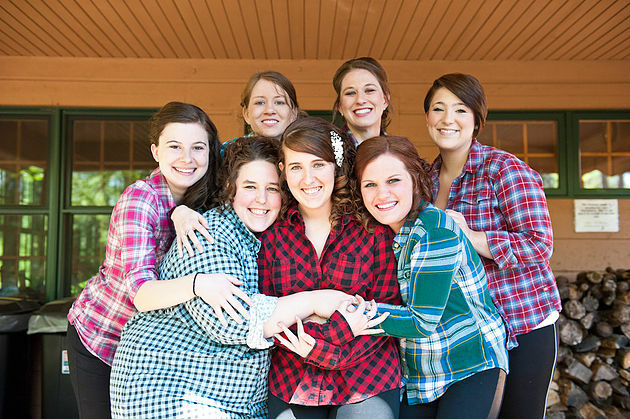 The bridal party members were kind, genuine, fun, and reflected the best of Amy and Greg. All the girls had a hand in making sure Amy was looking and feeling her best for the big day. Greg's guys were just the right amounts of rowdy and supportive and had everyone laughing. 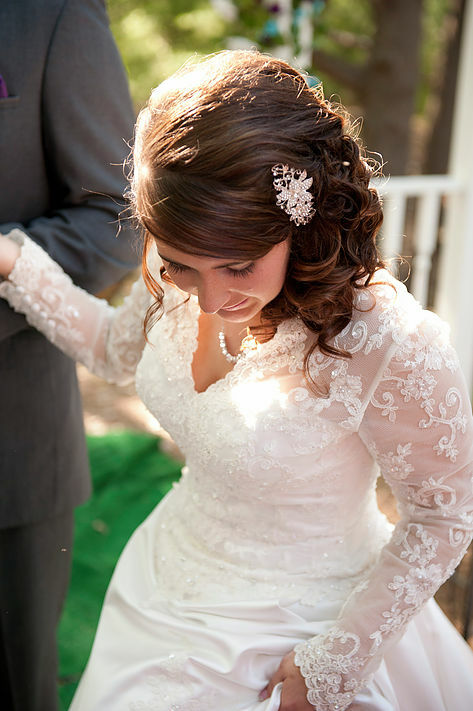 As Amy walked down the aisle towards Greg, he was simply beaming. This day was eight years in the making, and it was everything they dreamed and more. The love between Amy and Greg started simply and quietly. It has grown into a mature, steadfast relationship that is inspirational and to be admired. They are each other's greatest supporters, confidants, and rock. Their love has conquered distance and time. Amy and Greg, I hope you two continue to nurture each other by growing your faith, friendship, and love for one other. You two have been so blessed to have found the one you're meant for so early in life, and I wish you eons of happiness and good fortune. I can't thank you enough for allowing me to capture your beautiful, unique journey. I will always be thankful for your kindness, love, trust, and respect. Here's to you and a lifetime of wedded bliss and adventures.